The Daily Show with Jon Stewart | What's On Tonight? The Daily Show (titled The Daily Show with Jon Stewart since 1999) is an American late night satirical television program airing each Monday through Thursday on Comedy Central and, in Canada, The Comedy Network. The half-hour long show premiered on July 21, 1996, and was hosted by Craig Kilborn until December 1998. Jon Stewart took over as host in January 1999, making the show more strongly focused on politics and the national media, in contrast with the pop culture focus during Kilborn’s tenure. It is currently the longest-running program on Comedy Central, and has won 18 Primetime Emmy Awards. Describing itself as a fake news program, The Daily Show draws its comedy and satire from recent news stories, political figures, media organizations, and often, aspects of the show itself. 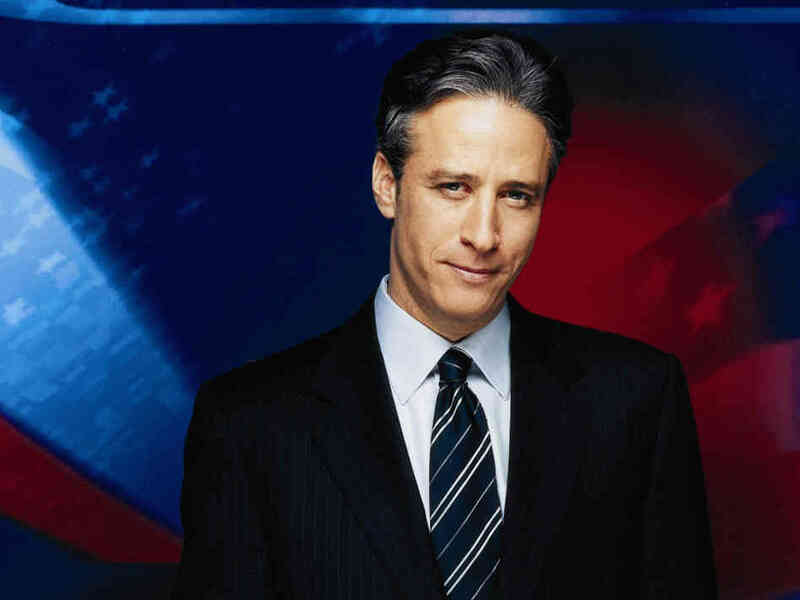 The show typically opens with a long monologue from Jon Stewart relating to recent headlines and frequently features exchanges with one or more of several correspondents, who adopt absurd or humorously exaggerated takes on current events against Stewart’s straight man persona. The final segment is devoted to a celebrity interview, with guests ranging from actors and musicians to nonfiction authors and political figures. The program is popular among young audiences, with organizations such as the Pew Research Center suggesting that 80% of regular viewers are between 18 and 49, and that 10% of the audience watch the show for its news headlines, 2% for in-depth reporting, and 43% for entertainment, compared with 64% who watch CNN for the news headlines. Critics have chastised Stewart for not conducting sufficiently hard-hitting interviews with his political guests, some of whom he may have lampooned in previous segments. Stewart and other Daily Show writers have responded to such criticism by saying that they do not have any journalistic responsibility and that as comedians their only duty is to provide entertainment. Stewart’s appearance on the CNN show Crossfire parodied this debate, where he chastised the CNN production and hosts for not conducting informative and current interviews on a news network. In 2005, Comedy Central launched a spin-off show, The Colbert Report, starring long-time Daily Show correspondent Stephen Colbert. The two shows run consecutively and continue to have regular interaction with one another, and until early 2011 Stewart would often “toss” (create a bridge between shows) to Colbert at the end of an episode. A weekly version called The Daily Show: Global Edition has been created for overseas markets and airs on foreign networks. In 2013, host Jon Stewart took a three-month leave from the show to direct his first film, titled Rosewater, and correspondent John Oliver replaced him as host for the summer months. Jon Stewart (born Jonathan Stuart Leibowitz; November 28, 1962) is an American political satirist, writer, director, television host, actor, media critic, and stand-up comedian. He is the host of The Daily Show, a satirical news program that airs on Comedy Central. Stewart started as a stand-up comedian, but branched into television as host of Short Attention Span Theater for Comedy Central. He went on to host his own show on MTV, called The Jon Stewart Show, and then hosted another show on MTV called You Wrote It, You Watch It. He has also had several film roles as an actor. Stewart became the host of The Daily Show on Comedy Central in early 1999. He is also a writer and co-executive-producer of the show. After Stewart joined, The Daily Show steadily gained popularity and critical acclaim, resulting in his sixteen Emmy Awards.